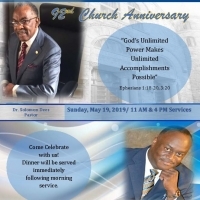 Join us for our 92nd Church Anniversary on Sunday, May 19th. 11 AM & 4 PM Services. 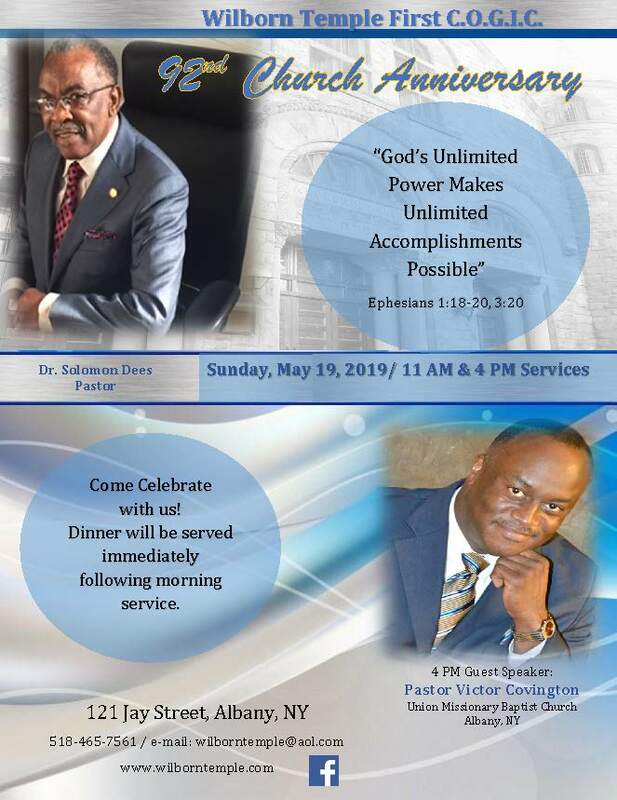 Our 4 PM Guest speaker will be Pastor Victor Covington, Union Missionary Baptist Church, Albany, NY.